Only 39.5% of the target has been recruited. 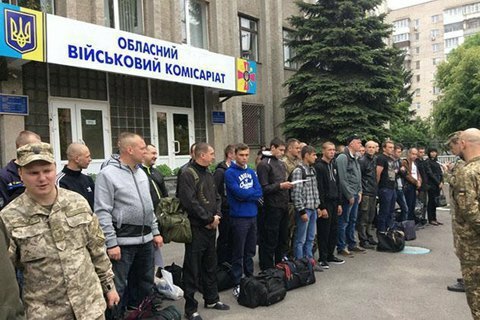 Kyiv's top military recruitment officer Serhiy Klyavlin has said that the autumn campaign is at the risk of failure. "In the spring, we practically did not have disruptions. And now we are on the edge of disruption," he said. Klyavlin explained that 39.5% of the target has been recruited. The turnout rate is very low, wobbling at around 8%. Among the possible reasons, he named a general negative attitude towards military service, the cooling off of patriotic sentiments, misinformation about the army. The autumn recruitment campaign began on 1 October. The total target is 17,960, most of whom are expected to join the army (9,010), the State Special Transport Service (900), the State Border Service (1,550), and the National Guard of Ukraine (6,500). In November, the Defence Ministry plans to recruit 1,000 reserve officers, 500 above the previous plan.